Plunkett Tormay joined the DCU Educational Trust in April 2014. As Head of Finance Plunkett has responsibility for all financial aspects of DCUET. His role includes the preparation of management accounts, budgets and year end financial statements for the Trust. Plunkett is also required to support the DCUET management team through the timely and accurate production of financial reports and information, including fundraising progress reports and monthly budget monitor. Prior to joining the DCUET, Plunkett worked in a Big 4 accountancy firm and trained in Mazars as a Chartered Accountant and Chartered Tax Consultant. 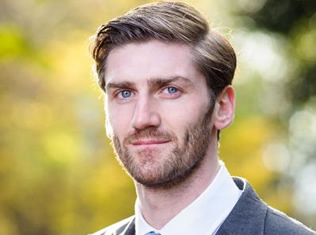 Plunkett is a proud member of the DCU Alumni, being part of the inaugural class of International Relations (BA) before proceeding to complete a Professional Diploma in Accounting.